Need to satisfy your sweet tooth for some pumpkin-y goodness this season? Let me repeat: dark chocolate... pumpkin... peanut butter! 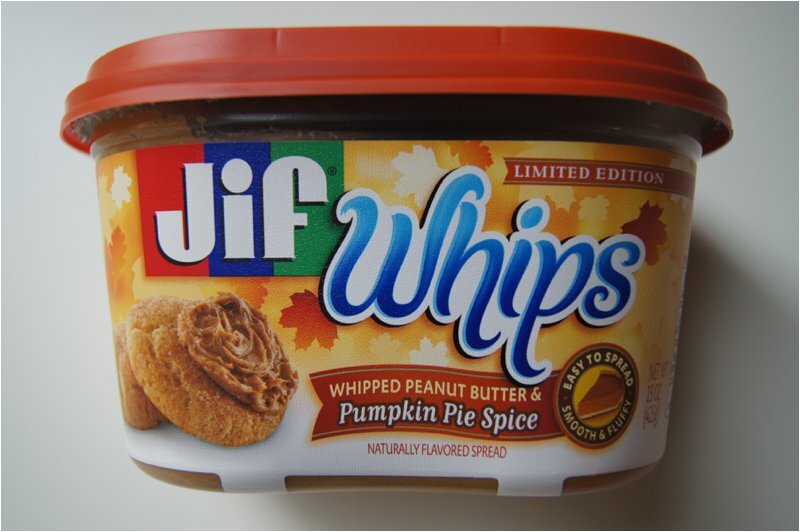 This recipe was made possible because of this Jif Whipped Peanut Butter & Pumpkin Pie Spice spread I stumbled on at Target the other day! I went in to buy almond butter, but it was like $6 and the pumpkin spread was on sale for $3! Hmm, pumpkin? YES, PLEASE. I scooped up a container and my 100th bag of dark chocolate chips... I buy dark chocolate chips ALL THE TIME with the intention of making this recipe and you know what happens? I eat them by the fistful first! Well, I *finally* resisted long enough to make this recipe and I'm so glad I did; these things are good! Here it is! Also, I think raisins would be AMAZING added to this recipe! Combine all the ingredients in a bowl, cover and refrigerate for about an hour. What else should I make with this awesome pumpkin peanut butter? When Fall hits, do you crave all things pumpkin? PPPS: ACTUALLY, this recipe is modeled after these energy balls from Gimme Some Oven. Go check out all the variations!